Lets face it, you weren't thinking about dance lessons when you rushed out the door slipped into your favorite Tori Birch flip flops. It was you against the clock. Well after 45 minutes of clinching and cramping your toes to your flip flops while going backwards you realized that Tori won't be coming back to the next dance lessons. Dance studio's are married to the clock. Most clients come after work to take their dance lessons. Our job is to stay on time for our clients. You can get the most out of your dance lessons by arriving early. Don't use your dance lesson time to put on your shoes and use the bathroom, now we are already 10 minutes into the lesson. Be ready to take the floor when your dance lesson is scheduled to start. We like to call it the bait n switch tactic by offering you a really low rate to get you inside the studio, but wait then comes the full court press sales team. Watch our for offers that seem to good to be true. Remember all business have to pay rent and their employees. Nothing is for free. If they are not listing their prices on line then they probably don't want you to know how much they cost. If you waited until the very last minute then one is better then none, but to think you are just so skilled in something you've never done before can be eye opening once you get to the studio. We don't argue or make our clients feel bad over taking one lesson. We offer them knowledge and power to schedule in advance. Typically those clients end up changing their mind and taking 4 lessons. If we can catch the bride before she comes in before her dance lessons, we have an educating chat about dancing in high heels. We ask our clients to bring in heels before they start their dress fittings. If you wear tennis shoes or flats every day and magically you decide your going to wear 4 inch heels, then sign up for the Tough Mudder or a 10k because you'll have to be like GI Jane to keep those babies on for 11 hours. 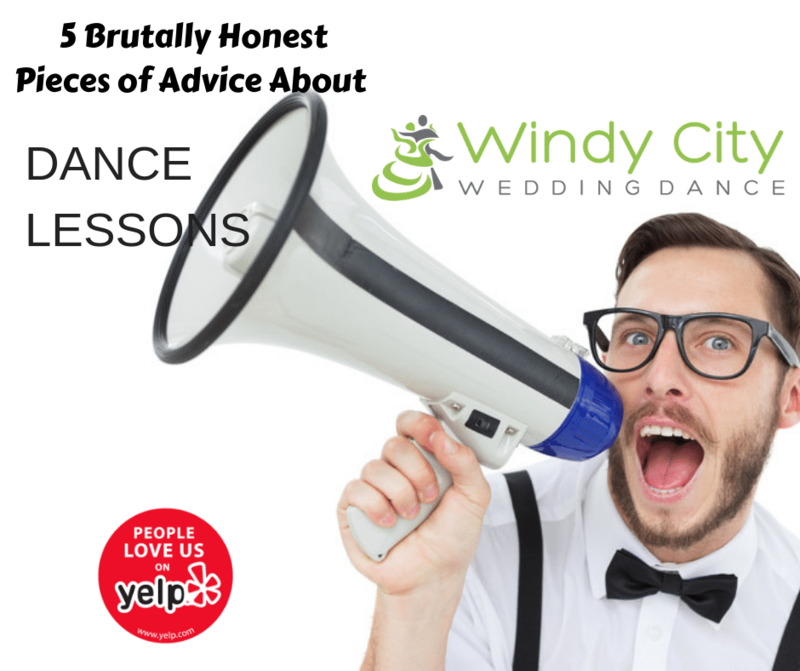 Chicago’s best dance studio for Wedding Dance, Latin, Ballroom, Salsa, and group dance classes. Ballroom dance lessons or group dance classes open weekly.